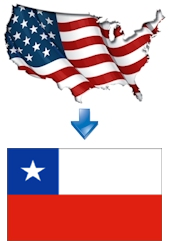 Chile is a member of the Hague Apostille Convention and any official document destined for this country requires an apostille from the Secretary of State. Please Note: We can only help you with documents originating from or notarized within the United States. If your documents originated from Chile, you will need to contact the correct competent authority to assist you in that country.